I recently read a book, “The Swerve” by Steven Greenblatt. It is a historical account of a papal scribe’s discovery in 1417 of a poem, “The Nature of Things”. Lucretius wrote it almost 1000 years earlier. He makes a case that it was the discovery of this poem that ushered the human race out of the dark ages. Whether you agree with his hypothesis is irrelevant. What the book did for me was pull me into the lives of people living in that era. Our worst day ever is infinitely better than the best day they could imagine. Living conditions were horrific and freethinking was completely squelched. Even sound scientific reasoning was met with the inquisition. Frequently one of the consequences of being tried before the inquisition was to be burned at the stake. It is interesting how hell was also held out as the ultimate punishment and involved endless burning. What is even more interesting to me was the degree of corruption amongst the clergy who preached this concept. Did they or did they not believe what they were teaching? One striking common practice during this period was self-flagellation by devout believers. A given person might practice it daily for many years. The degree of the self-inflicted wounds could be quite severe. Why? I am also familiar with a practice amongst teens and young adults of cutting. It is a difficult pattern of behavior to break. For a long time I had no idea why that would be a possibility for anyone, particularly in our modern affluent society. I finally asked someone I knew well why it was so common. She had done it for a couple of years and had long since worked through it. Her point was that she would rather feel physical pain than emotional pain. She also related that the physical pain was more validating. I have since asked several patients I know well about their thoughts regarding physical versus emotional pain. When I mention the possibility that physical pain is more tolerable then emotional pain their heads almost involuntarily began to nod in agreement. It has also been shown that the centers of the brain that feel physical pain and emotional pain are located next to each other. It is my personal feeling that humans will do anything to avoid raw anxiety. I lived in a state of extreme anxiety for over seven years. I also developed multiple different types of pain and other Mind Body Syndrome symptoms. Exposure to this level of anxiety is intolerable. I don’t have the words to describe it. One feeble attempt is that it felt like a hot branding iron on my brain. I almost did not make it through my ordeal. Even as I write this if I was told that I would have to spend the rest of my life in that state of existence I would choose to check out. It would not make any sense to stick around to experience that degree of endless suffering. It is my gut feeling that one of the defenses against this level of anxiety is the body’s creation of physical pain. There is not an identifiable source of pain and the brain generates it. 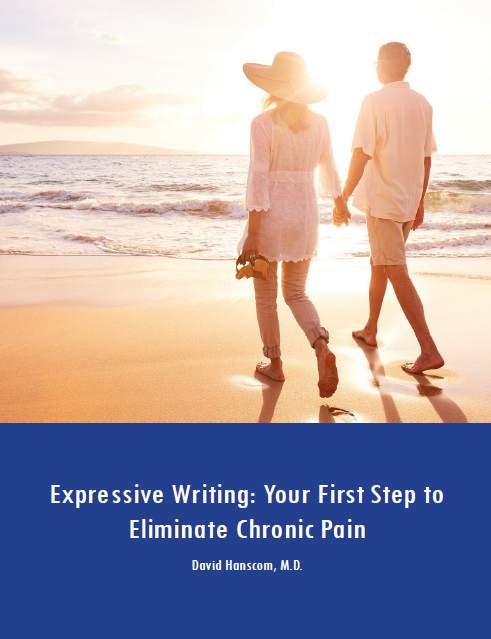 You could also argue that physical pain is just one of the manifestations of emotional pain. Luckily I ran across the sequence of tools that pulled me out of that hole. My pains are gone and my anxiety is minimal. I am able to live a rich and full life. 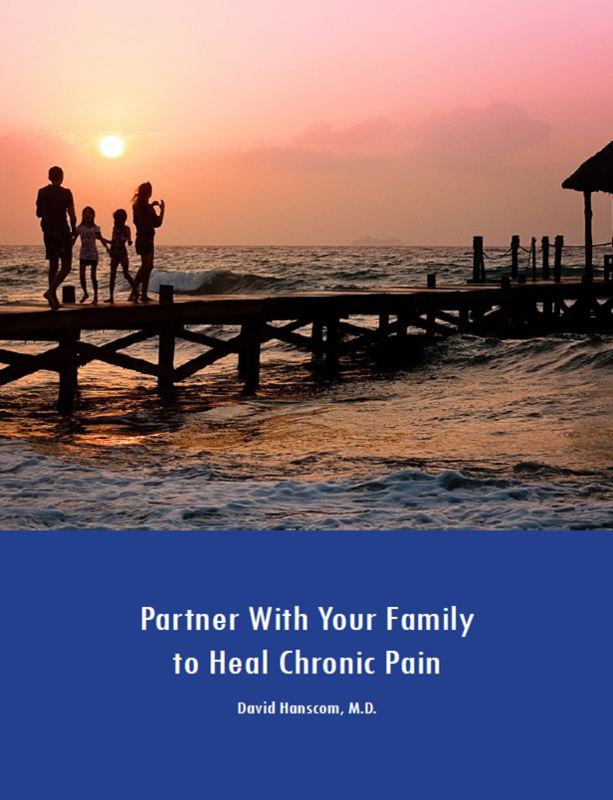 I am very grateful to be able to share these concepts with you and have watched hundreds of patients experience similar relief of both their physical and emotional pain. Emotional pain? Physical pain? Is there that much of a difference?